Latest from The Paddle League: We’re partnering with 50 races in 25 nations to help unify the sport. The Paddle League is today revealing “stage two” of its plan to help unify the sport, with the key announcement being the addition of 41 regional events to the existing 9 majors, which creates a combined platform of 50 independent races in 25 nations that we’re hoping will be the start of a new era in stand up paddling. After announcing the The Paddle League World Tour in January, which includes “Majors” such as the Air France Paddle Festival, Carolina Cup and Gorge Paddle Challenge, the addition of these 41 “Regionals” completes the first wave of Season 2018. The number will almost certainly grow in the coming weeks as more late-season Regionals are finalised (we’re still in talks with a few well-known races), with all events contributing points to the new interlinked Paddle League World Rankings; the new name and new home of the original SUP Racer World Rankings. Supporting the grassroots of the sport is a key goal of everything we’re doing at The Paddle League (which, full disclosure, I’m a co-founder of), so we’re stoked to be working with and helping support so many classic regional events. We’re being careful not to promise a lot, especially in this inaugural season, but we’re really striving to help unify the sport, and by connecting these 50 events to a wider storyline about the sport… well, let’s just say we’re excited! 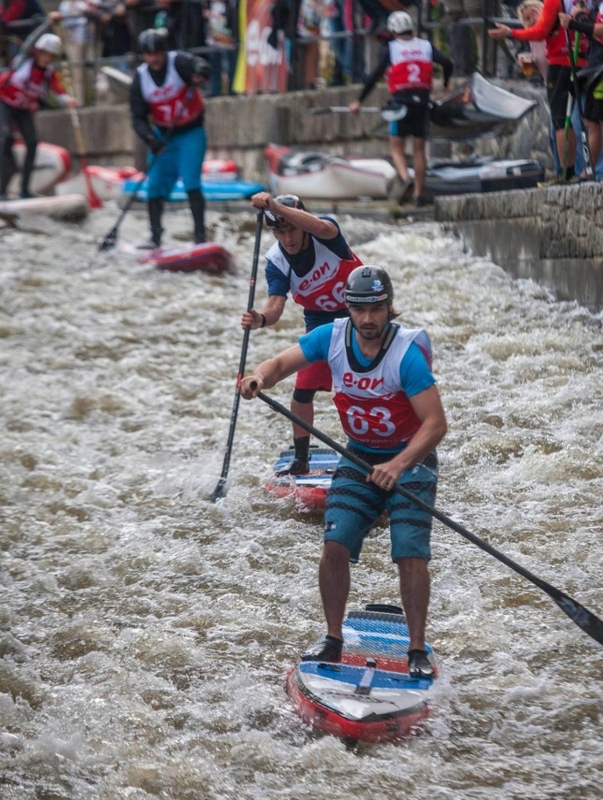 The Regionals include a big variety of locations – France to Finland, Key West to Kiev and Brazil to the Basque Country – plus a range of unique formats: downwinders, beach races, marathons, river races and plenty of flat water, entry-level events for paddlers of all levels. There are familiar names: Maui-2-Molokai, Florida’s Key West Classic and the Battle of the Bay in San Francisco. There are bold new frontiers: river racing in the Czech Republic (Krumlovsky Vodacky), the Kiev Open in Ukraine and other new stops from Singapore to South Africa, Taiwan to Thailand and dozens of other places in between. The Paddle League is also partnering with the reigning authority of European paddling, the EuroTour, to help further unify the sport. Each stop of the EuroTour will award athletes world ranking points as the sport’s two biggest tours join forces. This is particularly exciting and could potentially herald a new era for the sport. Again, we’re not promising a lot, but we’re pretty damn excited about this season. Looking further afield: One of the biggest events in the world, the 1000+ participant Aloha Spirit Festival in Brazil (pictured below), becomes a post-season Regional Major as The Paddle League expands to support one of the largest and most passionate paddling nations. 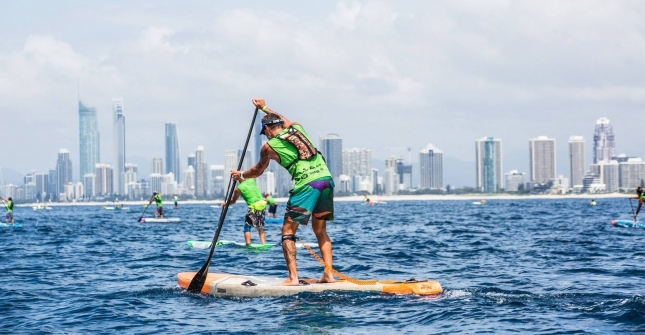 Charity events such as Paddle Imua on Maui, Jersey’s Molokai-length Round Island Challenge and the massive SEA Paddle NYC are all part of The Paddle League platform as well, with the aim of supporting the events that support the sport. Another goal of The League is to make life easier for traveling athletes by attaching one of the Regionals to each major, for example the Gorge Paddle Challenge in Oregon is complimented by the Vancouver SUP Challenge over the border in Canada, and the Waterman Tour Tahiti event falls one week after Air France. While the big points and the key chapters of The Paddle League story will focus on the 9x major World Tour stops, the 41x Regionals (and again, this number will likely grow in the next two weeks) will play a key role in shaping the extended rankings and building a broader platform for the sport. When I created the world rankings five years ago, the goal wasn’t to just rank the best athletes, it was to help give some structure to an often-disorganised young sport. And The Paddle League is just the logical next step down that path. It’s simply connecting what’s already there: the great independent events that form the true pillars of our sport. Our aim is to create a common, stable foundation for the future of the sport through the world rankings, quality media production and support for the athletes, brands and events in general. Tying it all together is the storyline we’re creating, which we’re hoping will re-energise the sport, get fans more excited and grow the size of the sport’s audience. As the guy in charge of organising a points system that’s both fair and competitive, one of my key goals this year was to balance three key regions: Europe, the U.S. and the “Rest of the World.” And I got close. Europe is clearly the center of the paddling universe right now, however it’s almost equally weighted against North America (670 vs 600). The rest of the world is lagging slightly (510 total points from 15 races), but we’re looking to support and elevate as many international events as we realistically can to help drive the global growth of the sport. Each of the World Tour “majors” counts for a full 100 points, while the two World Tour specialty events (OluKai and 11 Cities) earn 60. The Regionals use a star-rating system from 1-4, which corresponds to between 10 and 40 points at each stop. The 4-star events are known as “Regional Majors,” with the star rating formula rewarding amateur numbers just as much as the traditional measure of elite participation. Other factors such as regional significance, history/prestige, unique challenge and prize money are also considered in determining the star ratings. 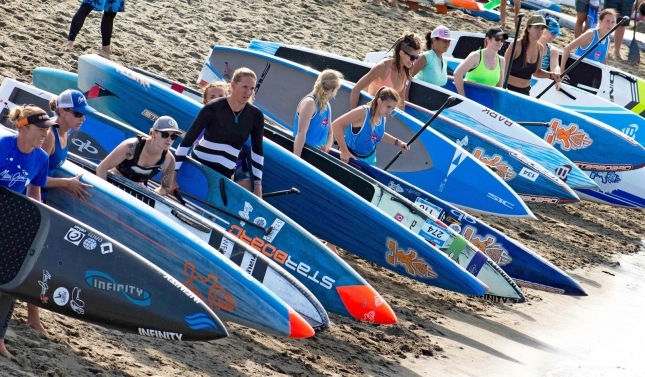 The 25 nations participating in The Paddle League this year are Australia, the Basque Country, Belgium, Brazil, Canada, Czech Republic, Finland, France, Germany, Greece, Hawaii, Hong Kong, Italy, Japan, Jersey, Netherlands, New Zealand, Singapore, Spain, South Africa, Tahiti, Taiwan, Thailand, the U.S. and Ukraine. Some of those nations aren’t exactly SUP hotspots (can you point to Ukraine on a map? ), but that’s exactly why they’re included: We want to help grow the sport beyond its traditional boundaries. And every event we’ve listed is doing great things for its local, regional and national paddling communities, which is exactly what we want to support with The Paddle League. The Regionals will run all year long, from the GlaGla Race in January to the King of the Cut in December, while the major World Tour stops focus on the six-month international season from April til October. So there are three parts to the year: pre-season, international season and post-season. The 2018 pre-season and international season will decide the 2018 Paddle League World Champions, while this year’s post-season and next year’s pre-season/international season will decide the Season 2019 standings. Or in other words; Season 2018 is nine months long, whereas Season 2019 will run for a full 12 months. The Paddle League plans to crown its world champions in October (the final points race is the PPGs), though there’s a good chance the titles will be celebrated earlier if any one of the athletes can dominate the points-heavy month of June. While our goals for The Paddle League are fairly straightforward (this sport isn’t rocket science), we’re so excited to jump into the season. It’s going to be such a fun year. And we don’t have to wait long: the first official stop of The Paddle League World Tour is happening this weekend in Tahiti. 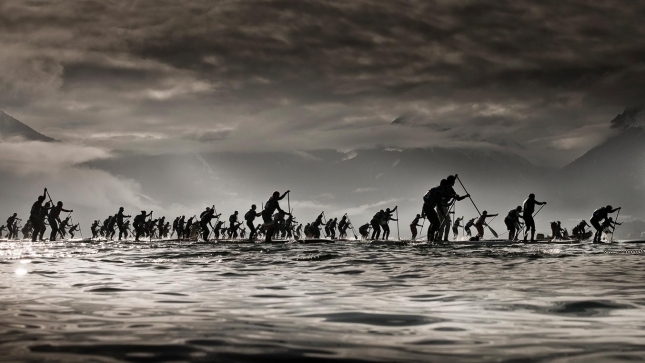 We’ll be livestreaming the Air France Paddle Festival from 11am on Saturday April 7 via Facebook Live, and then two weeks later it’ll be the big one in Carolina. The full schedule for Season 2018 is below, and you can follow The Paddle League on Facebook and Instagram for more.